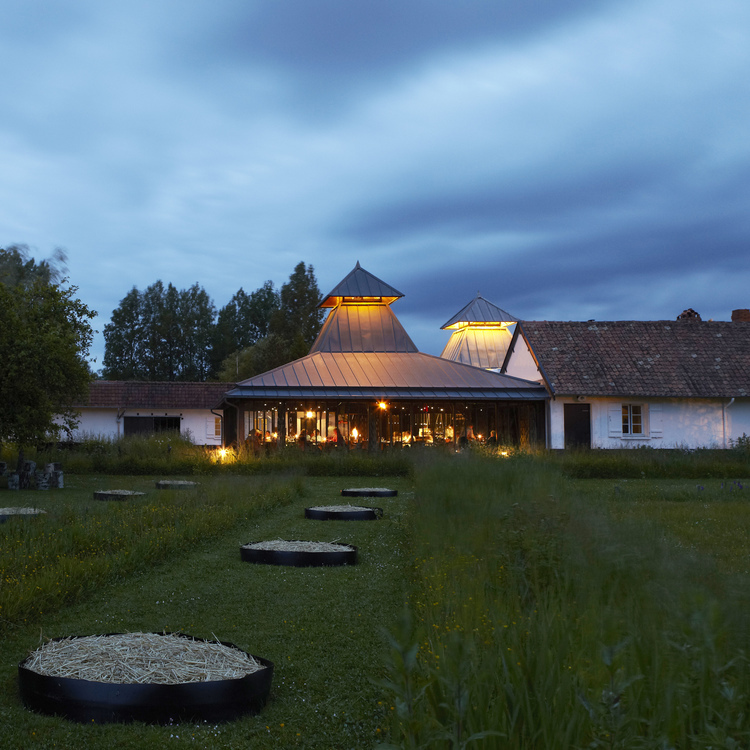 Restaurant: The restaurant La Grenouillère resides in northern France in a 16th century farmhouse at the commune Madelaine-sous-Montreuil. Developers converted the vintage home into a restaurant and Inn in the 1930s. Today, La Grenouillère serves contemporary cuisine that teams native and foreign ingredients. In 2013, the Hotel Restaurant became a member of Relais & Châteaux--a global fellowship of individually owned and operated luxury hotels and restaurants. Chef: Alexandre Gauthier grew up in a restaurant. In 1979, Alexandre’s birth year, the Gauthier family acquired ownership of La Grenouillère. Alexandre followed in the footsteps of his father, chef Roland Gauthier, by enrolling in Lycée Hotelier du Touquet. After graduating, he relocated to Paris and worked with Michel Roth at restaurant Lasserre. He interspersed his domestic culinary service with international stages in Beijing, St. Moritz, and Palermo. In 2003, still just 24 years old, Alexandre fulfilled his father’s request by assuming kitchen leadership of the family restaurant La Grenouillère. Recognition came rapidly: In 2005, Alain Ducasse invited him to Plaza Athénée to cook at Fou de France-– an event showcasing promising French talent. In 2008, Chef Gauthier regained Grenouillère’s Michelin star. Butter: The staff at La Grenouillère serves each table a block of local, lightly salted butter along with two loafs of homemade bread-–one white, the other crusty rye.